After the positive result of the third year project review by the European Commission, held in Brussels on February 16, 2017, the Deliverables D4.2, D4.3, D5.4, D8.1, D9.3, D10.3 are available for download. EERA JP Smart Grids members will meet in ISPRA for the Steering Committee meeting which will be focused on defining strategy, objectives and activities of the R&D plan for the next four years. 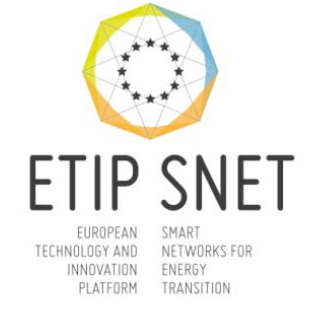 The outcomes of the review meeting of the ELECTRA IRP with the EU Commission will be also illustrated and key actions and perspectives for the last year of the project will be discussed. Moreover, on 5 April, a Workshop on International Cooperation will be held (see the attached Agenda). During the workshop ELECTRA IRP activities such as researchers exchanges mobility scheme and International Cooperation will be presented. Links and synergies with Mission Innovation will be also discussed. 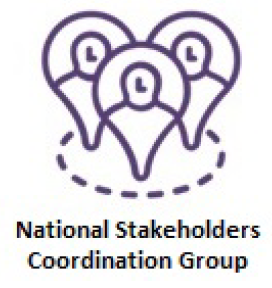 The National Stakeholder Coordination Group (NSCG) is a sounding board and exchange platform for national R&I stakeholders in the area of energy systems and networks, enabling them to contribute actively and in a coordinated way to the goals as agreed in the Stakeholder Declaration on SET-Plan Action 4. After the constitutional NSCG meeting in Barcelona on November 2016, stakeholders from the above named groups are invited to a first regular meeting on 28 March 2017 in Brussels (see the Agenda). The EERA JP on Smart Grids and the ELECTRA IRP will be represented by a few key members and in particular by the Coordinator, Luciano Martini (RSE). Luciano Martini (RSE) and Helfried Brunner (AIT), will participate in the Indian Smart Grid Week conference which will be held in New Delhi, India, on 7th- 10th March 2017. The ELECTRA IEEE paper "An European Integrated Research Program on Smart Grids and the ELECTRA Web-Of-Cells Concept" has been selected among the top 20 papers for oral presentation at the Conference that will be held on March 9th. The presentation will be delivered by Helfried Brunner. Moreover, Luciano and Helfried will attend the Executive Committee (ExCo) meeting of ISGAN (the International Smart Grids Action Network) as Italian and Austrian representatives, respectively. The ExCo of ISGAN is chaired by Michele De Nigris of RSE.